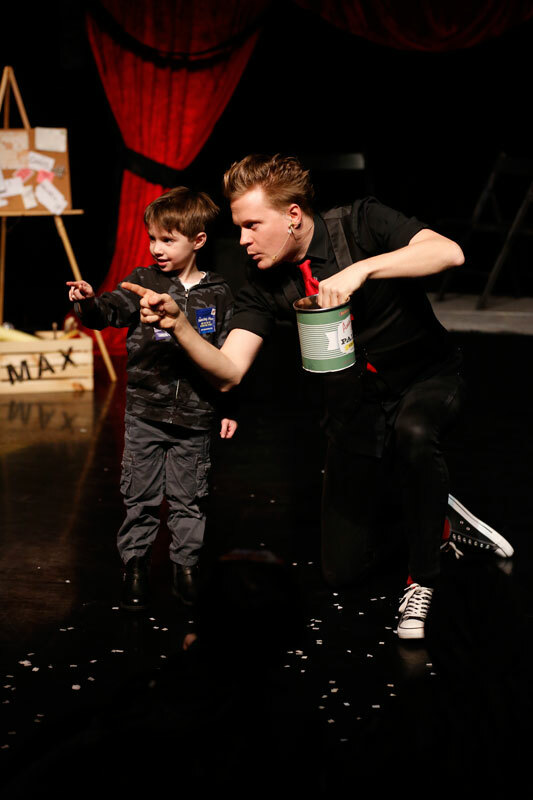 New York, NY (3/10/15) The Amazing Max, the “awesome and hilarious live magic show for the whole family” (PBS Kids) starring magician Max Darwin (aka “The Amazing Max”) which delighted audiences all winter will welcome the much anticipated return of spring with five (5) encore performances beginning April 6th (through April 11) at an all new venue – the McGinn Cazale Theatre (2162 Broadway @ 76th Street). 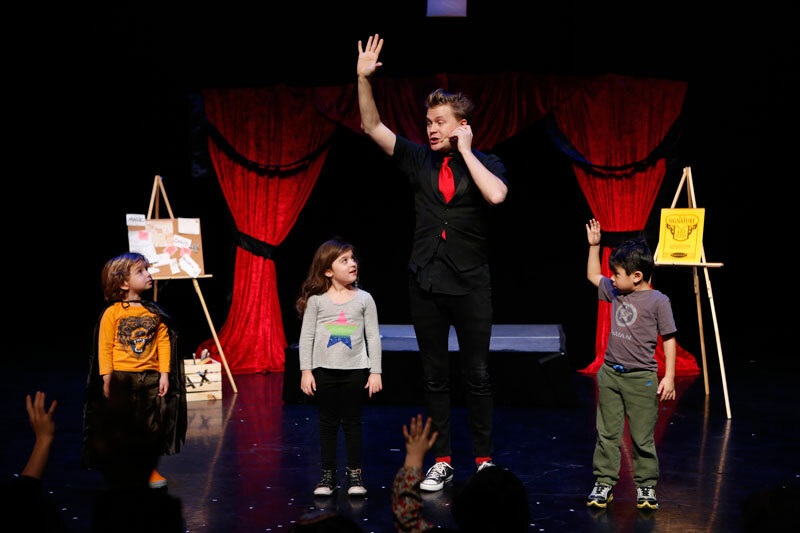 “We are really looking forward to this week of shows at the McGinn/Cazale Theatre. It’s a wonderful, intimate venue which allows Max to get up close and personal with the audience,” says producer Christine Cox. 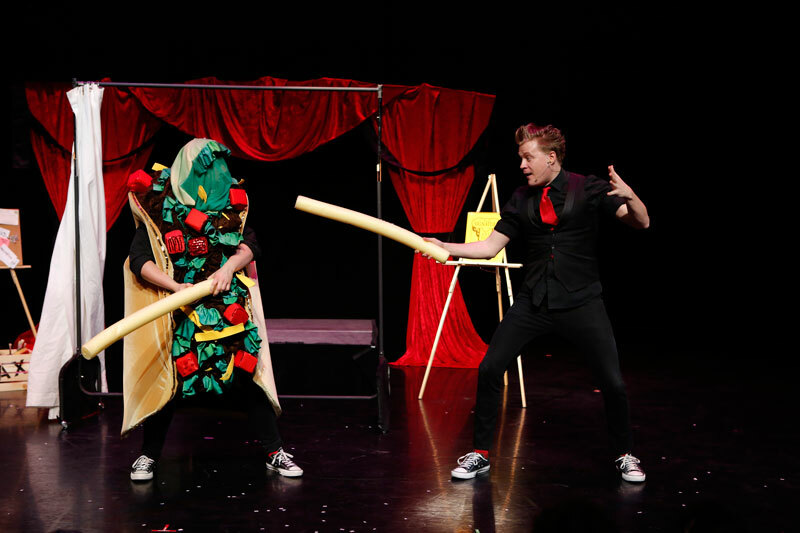 Tickets are $54.50 (Premium) and $29.50 – $39.50 (General Admission). 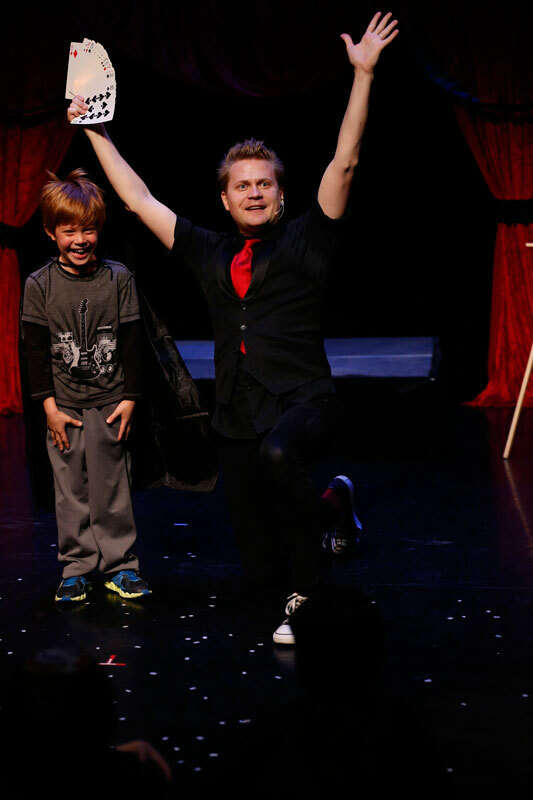 Premium ticket holders will receive priority seating in the first three rows of the theatre – and children take home a magic trick! They can be purchased online here or by calling 866-811-4111 or 212-352-3101. The performance schedule is: Monday, April 6 through Saturday, April 11. All shows are at 1pm. (Please Note: There is no performance on Friday, April 10).